Relevant Radio is a not-for-profit radio network and produces 80 hours of original programming each week. Relevant Radio broadcasts 24 hours a day, 7 days a week, and 365 days a year with award-winning hosts. Morning Air® and The Drew Mariani Show™ are the network’s drive-time talk shows that accompany listeners during their daily commutes with inspiring and informative conversation. The Relevant Radio mobile App has been downloaded over 225,000 times in all 50 states and 192 countries around the world. The Relevant Radio Facebook pages have an average viewership of 10MM persons weekly with over 1 million people actively engaged in the social media conversation. Since December of 2000, Relevant Radio has been helping people bridge the gap between faith and everyday life through informative, entertaining, and interactive programming twenty-four hours per day, seven days per week. The Relevant Radio network is currently serving the Church with 66 stations reaching 31 states, with a potential listening audience of 68 million people. The national headquarters of this listener-supported lay apostolate is located in Green Bay, Wisconsin. 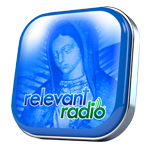 Programming can be heard worldwide via streaming audio at relevantradio.com and on the mobile app. At this time, the 2018 Women of Christ Conference is sold out. Registration is closed. For information about the 2019 conference, please subscribe to our newsletter.